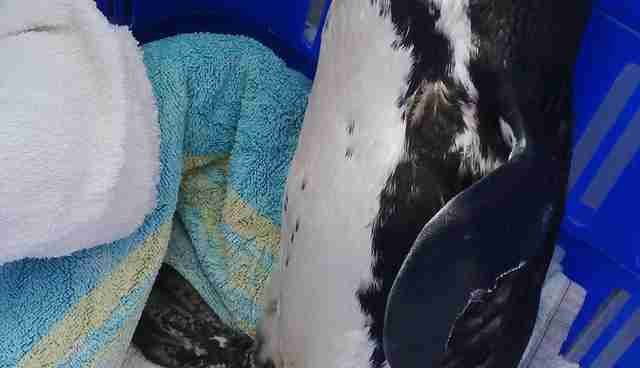 When a paralyzed penguin was found on the beach on the Western Cape of South Africa last December, local resident Eric Stewart saw himself in the bird. "The bird was in a very tame state upon arrival here at the center," Nada Manengela, marketing and fundraising coordinator for SANCCOB, told The Dodo. 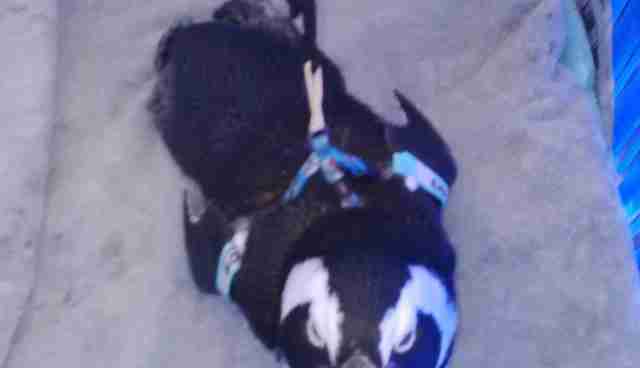 No one knew why the penguin became paralyzed, Manengela said, but rescuers suspect that he sustained head trauma. 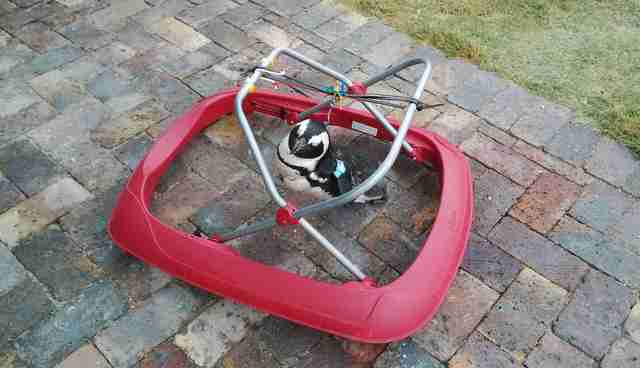 Stewart sympathized with the penguin's plight because he knows how hard it is to come back from a head injury. Stewart had to learn how to walk again after a stroke a few years ago. "I got tears in my eyes when I saw the penguin for the first time and I wanted to do something to help," Stewart told News 24. 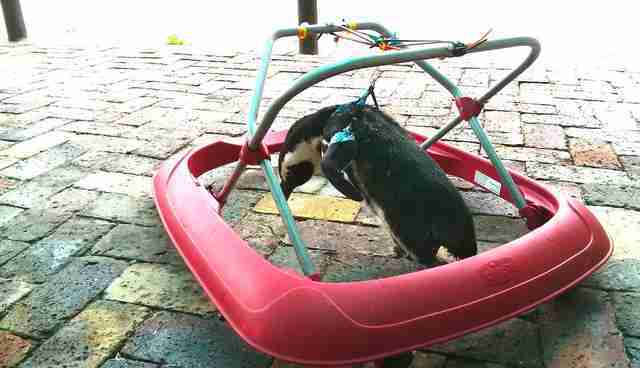 Stewart decided that the penguin deserved a chance to walk again, so he built a tiny walker. After a month in the walker, as well as swimming lessons three times a day, the little penguin amazingly learned how to waddle on his own again. "He continues to live a very good quality of life in our home pen," Manengela said. With so many people believing in him, it's no wonder he's getting better. Now all this penguin needs is a name. 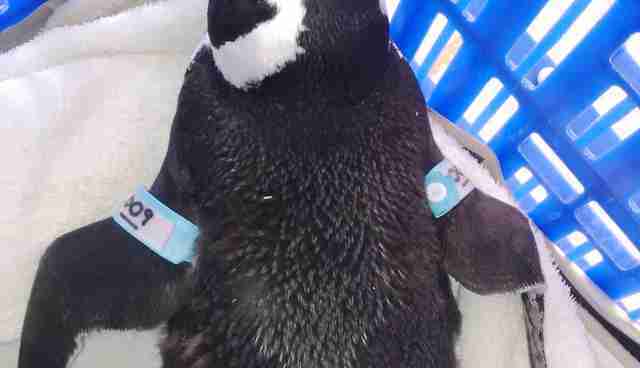 You can email name suggestions to nada@sanccob.co.za, and donate to help him here.